The effective treatment of anorexia nervosa (AN) remains a significant challenge. This has prompted new research into ways of engaging and keeping patients in treatment and ultimately achieving better outcomes, not only on a symptomatic level but also in broader aspects of life. 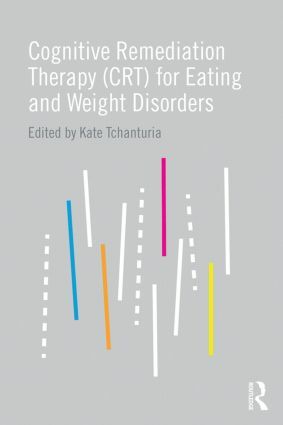 In this book Kate Tchanturia brings together international experts from the field of eating disorders to discuss the effectiveness of cognitive remediation therapy for treating anorexia nervosa, and keeping patients in therapy. Cognitive Remediation Therapy (CRT) is a type of therapy that concentrates on improving neurocognitive abilities such as attention, working memory, cognitive flexibility and planning, and executive functioning which leads to improved general functioning. Recent research has demonstrated the effectiveness of the approach for treating those with anorexia nervosa, cognitive improvements have been noted in patients, and the approach is associated with low drop-out rates from the treatment, and high levels of acceptability among both patients and therapists. Illustrated throughout with case studies, and integrating neuropsychological testing and brain imaging this book discusses the latest research on this novel treatment approach. It will be key reading for researchers and academics in the eating disorders field wanting to trial the approach, as well as final year undergraduates and postgraduate clinical psychology students looking for a new perspective. Cognitive remediation therapy for anorexia nervosa: how do we know it works?